The church of St Brygida (St Bridget) in Gdańsk, Poland, recently hosted a televised concert to celebrate the 40th anniversary of Pope John Paul II’s appointment. An Alcons Audio pro-ribbon audio system was the ideal solution to tame the church’s difficult acoustics. St Brygida is a large, brick-built church, famed for its amber altar and its 1980s role as a sanctuary for the leaders of the Solidarność (Solidarity) trade union, when Poland was under martial law. Staged to celebrate the 40th anniversary of Polish national Karol Józef Wojtyła being chosen as Pope John Paul II in August 1978 – the first non-Italian Pope for 455 years – the concert featured Cappella Gedanensis, a vocal and instrumental ensemble which performs traditional music from the region around Gdańsk and represents the city all over the world. The group’s performances often include well-known soloists. For this concert, they included singer Plácido Domingo Jr, mezzo-soprano Alicja Wegorzewska and pianist Maciej Miecznikowski. 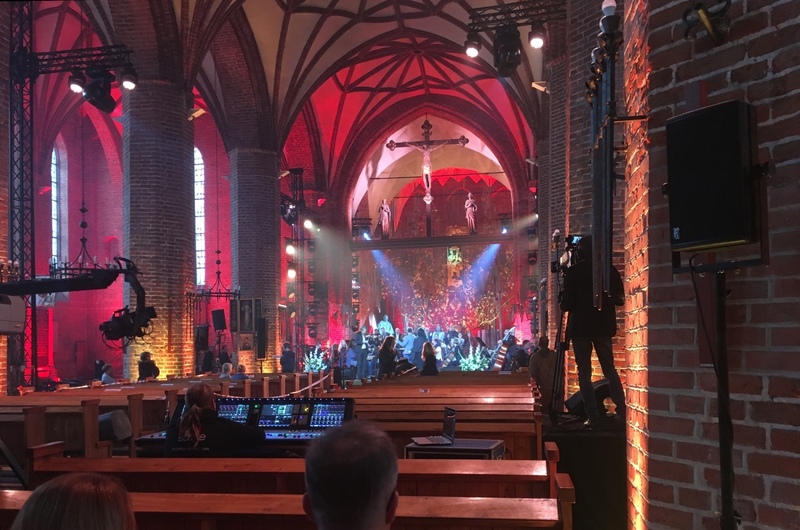 Transmitted live by broadcasters Polish TVP1 and TV Polonia, the concert’s audio production was handled by Gdańsk-based Offstage. The tall interior of the church features vaulted ceilings, with many columns and other flat, reflective surfaces, but these were tamed by Offstage’s Alcons pro-ribbon system. 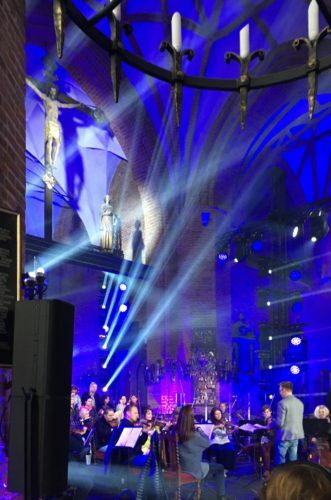 The setup included two QR24 modular line-source array columns per side, with two VR12 mid-size versatile monitors as outfills and two VR8 compact versatile monitors as zonal speakers in the middle of the church. The system was powered by Sentinel10 and Sentinel3 amplified loudspeaker controllers. More information on www.offstage.pl .